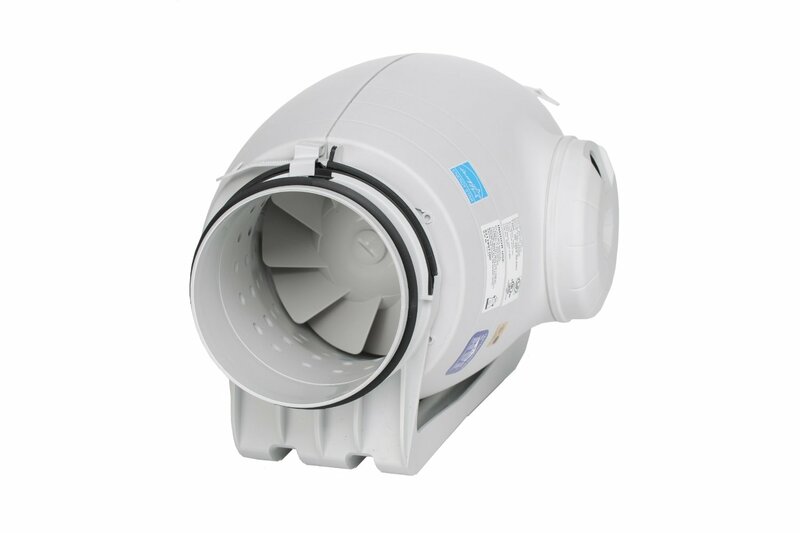 The Silent Series is a low profile mixed-flow in-line fan that produces low noise when in operation. It does this through a specifically designed perforated internal skin that directs sound waves produced inside the fan to a layer of sound absorbent material. 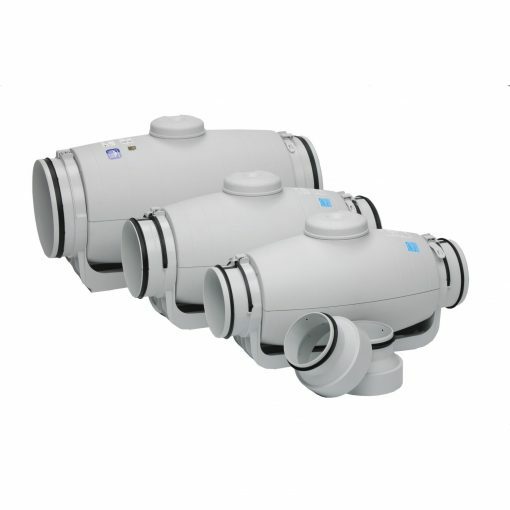 It is particularly suitable for projects such as apartments, hotels and offices where noise can be an issue. Casings are manufactured from reinforced injection moulded polypropelene plastic. 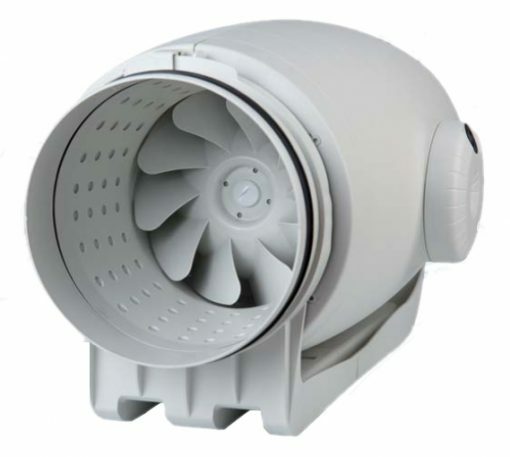 All units are provided with an integral mounting foot that remains in place if removing the fan body. Type – 2 speed, squirrel cage induction motor. Speed controllable using VA type speed controller in high speed only. Manual-reset thermal overload protection device in accordance with mandatory requirement for in-line duct fans. The fan body can be removed from the support bracket and mounting foot without disturbing the connecting ductwork by releasing the quick release plastic straps. 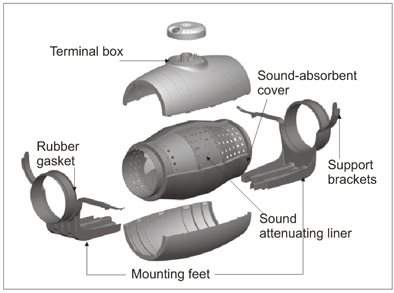 Vibration absorbing elements are integrated into the advanced composite body design. 360Â° rotating junction box makes connection to power easier in tight spaces.